Even the little ones love to show support! 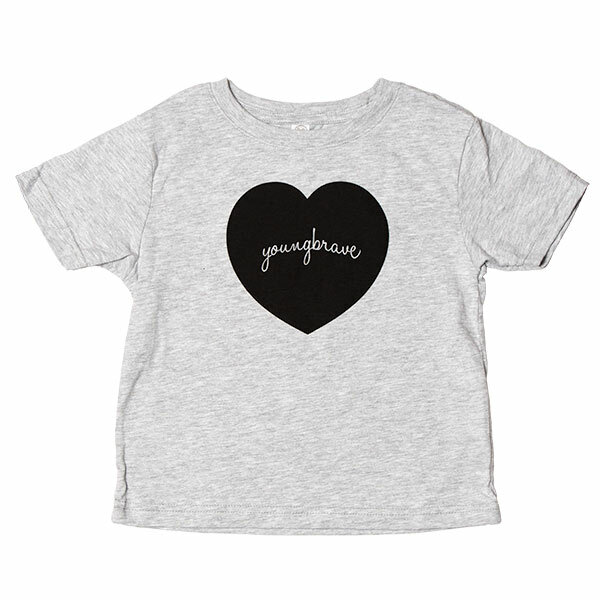 This heather grey toddler tee features a heart with our Young Brave handwritten logo. Made from a fine poly/cotton blend.